Training hard and taking care of yourself is important to you, and it’s important to us that you’re taken care of. 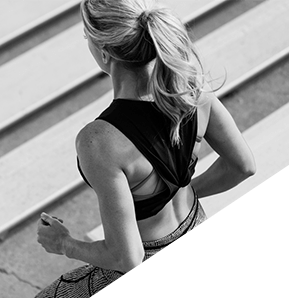 We want to be your trusted partner on your fitness journey, which is why we’ve designed our formulations to help you get the most out of your workout, and make them in mind-blowing flavors that you’ll crave. With C4 Sport we’ve gone the extra mile and had it NSF-certified for sport to guarantee its safety for pro-athletes and everyday athletes alike. 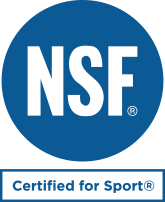 NSF certification is trusted by the MLB, NFL, NBA, and NCAA, and is crucial to ensuring that what you’re putting into your body has held up to rigorous scrutiny and safety standards so you can get out there and only worry about beating that next goal. 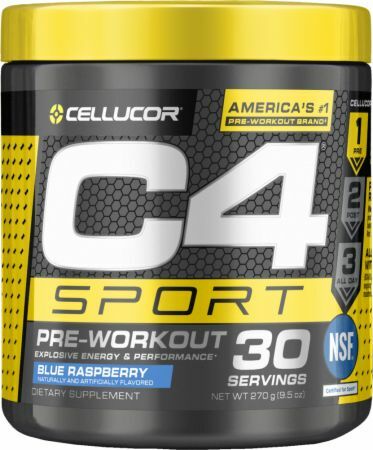 Take one serving (1 scoop) of C4 Sport, mixed with 4-6oz. of water 20-30 minutes before training. Do not exceed two scoops per day. During your workout, it is recommended that you drink plenty of water. Some individuals may experience a harmless tingling sensatin, which is attributed to beta alanine. However you get out there, C4 Sport can help you get the energy you need. You have lots of goals, we have just one: to help you beat yours. 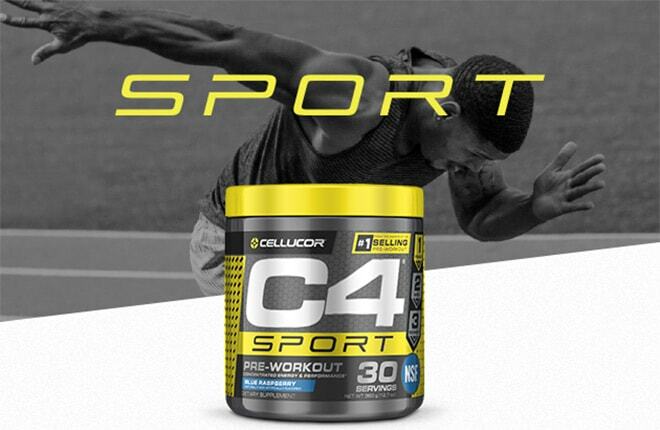 When you start your workout with C4 Sport your workout will never be the same. I love the blue raspberry so much better then the other flavors. Best prework out I have had ever!!! I bought this from walmart. Its not bad for days involving running or when its late in the day if you are used to stronger pre workouts out there. 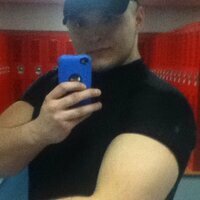 BodyBuilding.com reviewers you have let me down! The Blue Raspberry flavor is weird and has a strong vitamin taste. Going back to the fruit flavor. I have this in blueberry flavor and it's amazing! 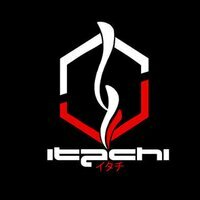 I always finish strong and focused with this brand. There's nothing bad about this. I get jittery with caffeine but with this I can focus and not worry to much about the jittery hands or heart palpitations. Citric Acid, Malic Acid, Natural and Artificial Flavors, Calcium Silicate, Silicon Dioxide, Sucralose, Polydextrose, Acesulfame Potassium, FD&C Blue #1. Directions For C4 Sport: Take one serving (1 scoop) of C4 Sport®, mixed with 6-8 fl. oz. of water 20-30 minutes before training. During your workout, it is recommended that you drink plenty of water. Some individuals may experience a harmless tingling sensation, which is attributed to beta alanine. Warnings: THIS PRODUCT IS ONLY INTENDED FOR HEALTHY ADULTS, 18 YEARS OF AGE OR OLDER. Do not use if pregnant or nursing. Do not take this product before first consulting a licensed, qualified, health care professional if you are taking any other dietary supplement, prescription drug or over-the-counter medication; or if, you suspect you have or have been treated for, diagnosed with or have a family history of, any medical condition. This product contains caffeine and should not be used by individuals wishing to eliminate caffeine from their diet or in combination with caffeine or stimulants from other sources. Discontinue use 2 weeks prior to surgery. Immediately discontinue use and a medical doctor if you experience any adverse reaction to this product. Do not use if safety seal is broken or missing. Store in a cool dry place. KEEP OUT OF REACH OF CHILDREN. This product is sold by weight, not volume. Some settling of powder may occur during shipping and handling, which may affect density of powder. This product contains the servings indicated when measured exactly by weight.